Norma L. (Headrick) Lohnes, age 85, of Kansas City, MO, passed away peacefully with family by her side on Tuesday August 7, 2018. Norma Louise was born on March 5, 1933 in Flandreau, SD to Herald and Josie (Gulbranson) Headrick. 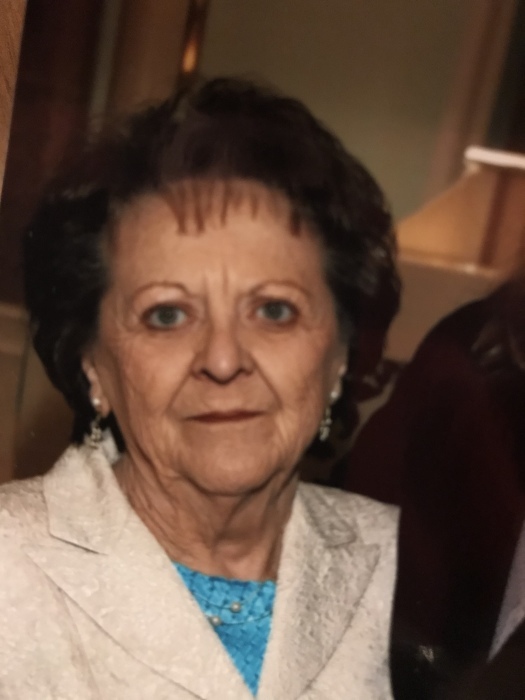 She attended elementary school in Egan SD, and high school in Flandreau (Class of 1952), where she was a member of the high school cheerleading squad. There, she met and later married B.G. Lohnes, who was on the football team, amongst other sports, and activities he was involved in. They remained sweethearts while B.G. served in the Korean War, and during that time Norma went to beauty school. Once B.G returned from the service, they married, and moved from Flandreau to Kansas City, MO in 1955 where B.G. went to work for TWA. Norma and B.G. had three children, and at that time she started a whole new career as homemaker, den mother for the scouts, and babysitter for numerous children, where she became a second Mom for many years. Her relationships with some of those children, lasted throughout her lifetime. Norma and B.G. moved to New York City for a brief time, but returned to Kansas City, where they lived out their lives. They returned to visit Flandreau yearly, and on June 12, 2004, they renewed their vows on their 50th wedding anniversary, at the same church they married 50 years prior, Second Presbyterian. Recalling some of the things Norma enjoyed, was returning to Flandreau, SD annually, especially over the 4th of July. Seeing longtime friends, and family, was special, and she always looked forward to it year after year. Most recent visit was her 65th class reunion in 2017. She also enjoyed vacationing in Florida with family and friends. Maureen Kapp, one of her longtime friends, along with some new friends, Brenda and Dawn from Alabama, was part of the group that went to Florida every year. Norma often got sunburned, but always said it didn't hurt, and it was never enough. Next day back out in the sun again. Crab legs was one of her favorite foods, where she would always saturate them in butter, and usually ate every bite. Remembering one time in particular, when in Florida, we actually brought some crab legs home, that smelled up the refrigerator. We were all watching a movie, when Norma opened the fridge, and decided the crab legs needed to be put in a bag, and tie wrapped. Someone moved the tie wraps, and no one was paying attention to her when she repeatedly asked where they were. Each time she opened a drawer it got closed a little harder. We all started laughing as quietly as possible, and the banging of the drawers grew louder, and louder. We all got called some choice names, even Sheila who was always her favorite. I do not think any of us that were there for that, will ever forget it. She once entered into a waffle eating contest with all of us, where she won, by consuming 9 waffles, without any noticeable side effects. She also enjoyed visiting Geri and Sheila's home in Fort Worth, TX the house she helped pick out in 2003. She loved to lay by the pool, where again she never felt like she got enough sun. Ozzy her canine companion of the last 10 years would visit Texas with her on occasion, but never got to go to Florida. She always missed him when they were apart, and was anxious to get back home to him, after she had been away. From Flandreau to Florida, Kansas City to Texas, many friends, and family members, will carry with them both fond, and fun memories of the many times they shared with her over the years. She will be greatly missed. She is survived by her three children: Dan Lohnes (Janet) of Kansas City, Geri Lohnes (Sheila), of Keller, TX and Randy Lohnes (Suzie) of Kansas City; four grandchildren: Kylie Lohnes, Brady Lohnes, Jeanie Lohnes and Lindsey Lohnes, all of Kansas City; numerous nieces and nephews; special extended family: Barb O’Brian (Kevin), her son, Russell Edgar (Liz), and their two sons, Malcolm, and Ellis Edgar and her dog “OZZY” her constant companion for the last 10 years. Norma was preceded in death by her husband B.G. in 2006, her parents, her sister, Virginia Reed, and her brothers, Gerald, Derwin “Toady” and DuWayne and also included in their family, a cousin, Lyle Johnson. 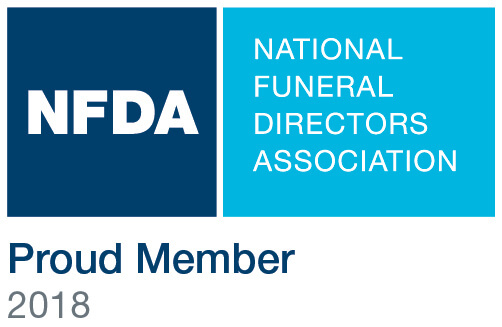 Celebration of life ceremonies will be held Saturday, September 22, 2018, at the Terrace Park Funeral Home in Kansas City, MO. Visitation begins at 10:00 a.m., with the service at 11:00 am. Flowers are welcome. Donations to Alzheimer’s Foundation, or NorthCare Hospice House in North Kansas City, MO.